The following is our product review for a supplement called Aftum. The maker’s of these products designed them to relieve pain and heal mouth ulcers and canker sores. This product range includes an oral gel, a spray, a mouthwash, and a film with varying concentrations of the main active ingredient, Hyaluronic Acid. The goal of these products is to promote healing, prevent inflammation, and reduce scarring. Hyaluronic Acid is the primary ingredient in this product. It is known for its many skin health benefits such as healing wounds, burns, and skin ulcers. 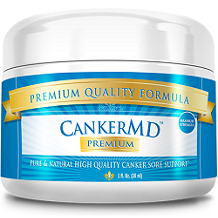 While it is positive to find this ingredient, it alone be the only ingredient to fight canker sores. Canker sores are largely attributed to a Vitamin B12 deficiency. There are several competitor products that contain sufficient doses of Vitamin B12 to provide superior relief. Also lacking is benzocaine which can provide the benefit of a numbing agent to dull the pain of a canker sore. 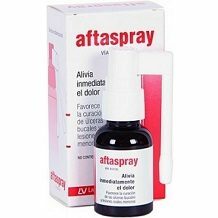 The manufacturer recommends that you apply the products 3-4 times a day, preferably after meals, but aftum/aftaspray products can be applied as many times as necessary if the sore is painful. With a confusing array of 4 different products we were confused about how and what to use for treating a canker sore. The manufacturer needs to be clearer about which products to use, and when. You can’t purchase these products through the manufacturer’s website, but they are available from third-party sites such as Amazon where we found the Aftum Oral Gel for $19.76 and Aftaspray for $20. There are no incentives for new customers or discounts for bulk buyers. No side effects are mentioned by the manufacturer, but like all supplements, consult with your physician before using. The manufacturer does not mention the existence of a money-back guarantee or return policy on this product. We liked several things about Aftum & Aftaspray. Hyaluronic Acid is the primary ingredient in this product. It is known for its many skin health benefits such as healing wounds, burns, and skin ulcers. The spray dispenser should be easy enough to use for treating a canker sore. Aftum/aftaspray products do not contain sugar and are safe for diabetics. We do have some not so positive comments to add however. The manufacturer does not provide a money-back guarantee or return policy on this product. With a confusing array of 4 different products we were confused about how and what to use for treating a canker sore. The manufacturer needs to be clearer about which products to use, and when, on the company website. There are insufficient customer reviews for us to accurately ascertain whether or not this product lives up to its claims. There are no incentives for new customers or discounts for bulk buyers. There is no assurance that the product contains non GMO ingredients or that they are made in an FDA certified facility. Each of these 4 products only contains one active ingredient, hyaluronic acid. Lacking here, many competing brands include benzocaine as a numbing agent. For all these reasons we suggest that you skip this supplement, and look for one with a decent guarantee, with bulk buying discounts, a wide body of consumer reviews, and clearer instructions about how to use this product/s.